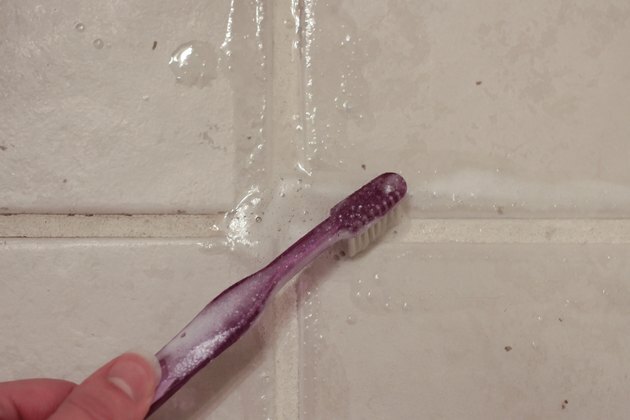 Dirty grout is just that—dirty and looks bad. You may have tried to use a regular household cleaner to remove dirt and grime from the grout, but it didn't remove all of the dirt buildup. Oxiclean is a oxygen-based alkaline cleaner that removes not only dirt, but also any mold that may present on the grout. The cleaner is safe to use and has no offensive odor. 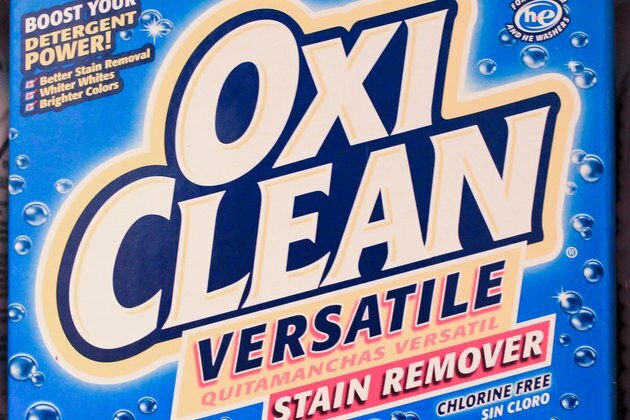 Making a Oxiclean cleaning paste is not difficult. All you need is a large bucket, a long-handled spoon and a container of Oxiclean. Pour two cups of warm water into the bucket and two and a half scoops of Oxiclean cleaner. Stir the mixture into a paste. The paste should be sort of thick and not runny. Even though the Oxiclean cleaner is safe for your skin, wear rubber gloves to protect your hands from getting dirty. For everyday tile and grout cleaning, make a mixture of one scoop of Oxiclean and one and a half cups of warm water. 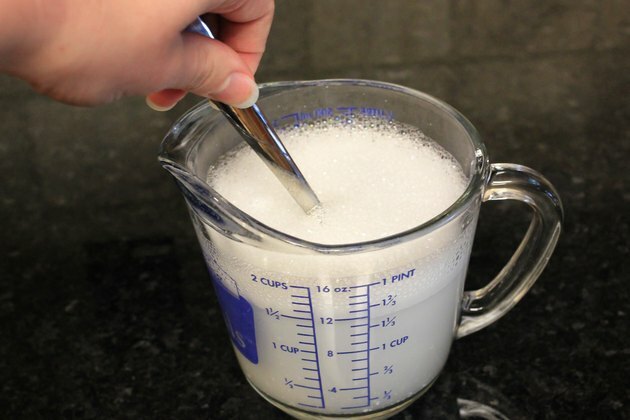 Pour the mixture into a spray bottle and use it daily to remove soap scum and other debris from your tile and grout. To clean your grout, apply the paste with a sponge, old toothbrush or clean rag. Let the paste set for one hour and then scrub the paste with a brush to break up dirt and grime. Rinse the grout with hot water. Make sure you rinse the grout thoroughly—the Oxiclean paste can leave a buildup if you don't rinse the paste well enough. If there is heavy grime and dirt build up on your tile's grout, let the Oxiclean paste sit overnight. Before rinsing off the Oxiclean paste, wet the paste an grout with some warm water and scrub the surface with a brush or rag. If you notice a slight buildup of Oxiclean paste on your grout, soak an old towel in hot water and press it against the grout for about 10 minutes to help break up the paste. Rinse the grout with a sponge soaked in hot water. 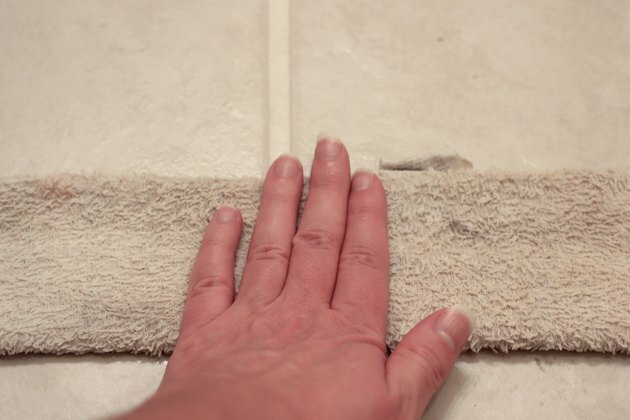 Repeat this follow-up procedure for other areas of your grout containing a paste buildup.